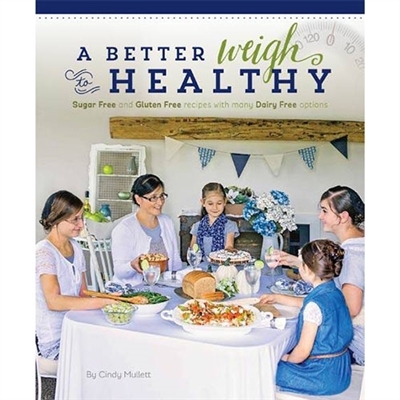 Sugar Free and Gluten Free recipes with many Dairy Free Options Whether you are hypoglycemic, diabetic, desire to lose weight, or have food allergies or hypothyroidism, or simply enjoy being healthy....this cookbook is for you. It is not endorsed by any diet plan, but each recipe clearly indicates whether it contains fats or carbs or a combination of both -- making it easy for those following a specific weight loss plan. Since the recipes are sugar and gluten free with many dairy free options, you will be able to naturally slim down as you eat. Here's to savory, healthy foods. Welcome to the place where gourmet meets healthy. Personally it is what I wanted tastefully done and presented. Thank you for excellent service.